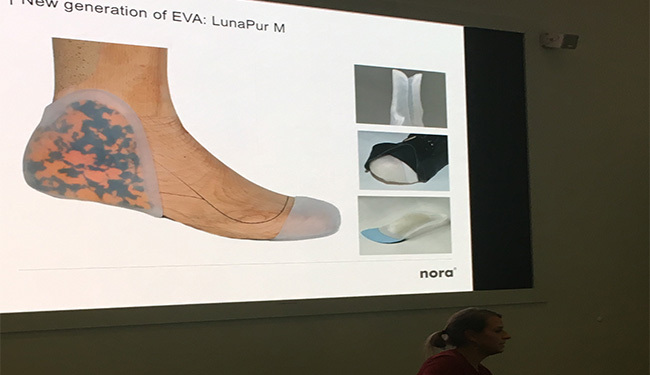 This was our first training event in collaboration with nora; who are the World’s premium EVA and rubber manufacturer for the Orthotic market. 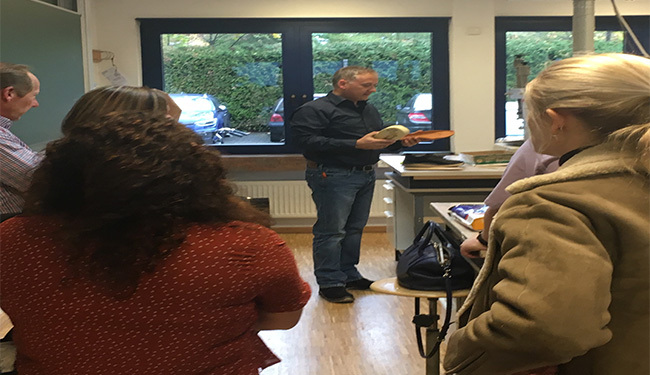 The event was held in nora’s fantastic Weinheim facilities which has its own hospital, fire station and bank on site. 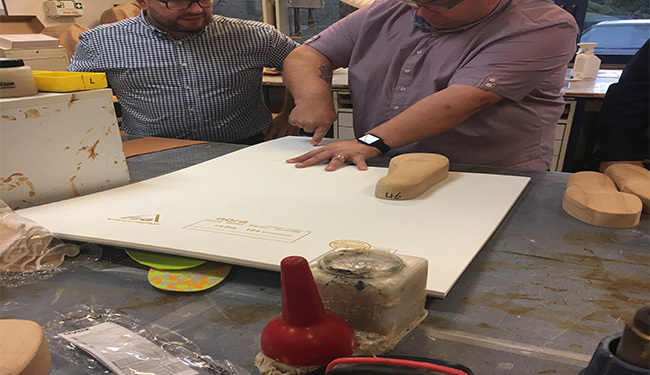 We had 15 UK clinicians and technicians attend the training, which was constructed to enhance people’s knowledge of materials and their origins. 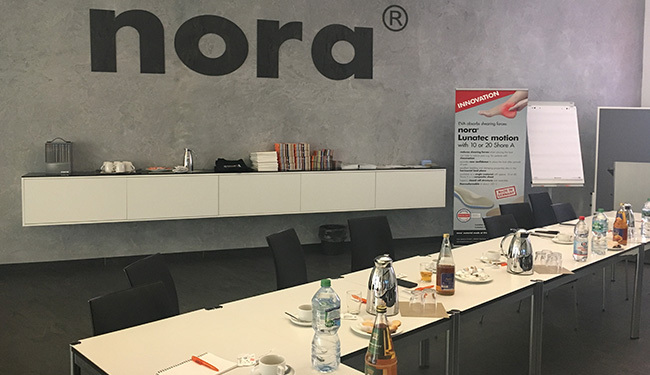 Day 1 included an informative factory tour from nora’s Sales Director Peter Muller. 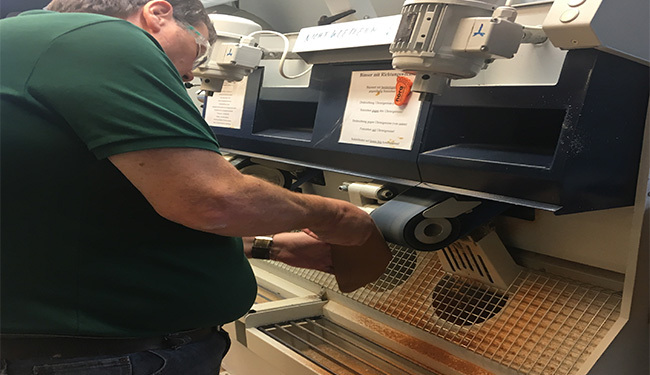 During the tour the delegates got to see the manufacturing process from start to finish. This included information about the unique stringent testing each nora product goes through before arriving into your manufacturing labs. 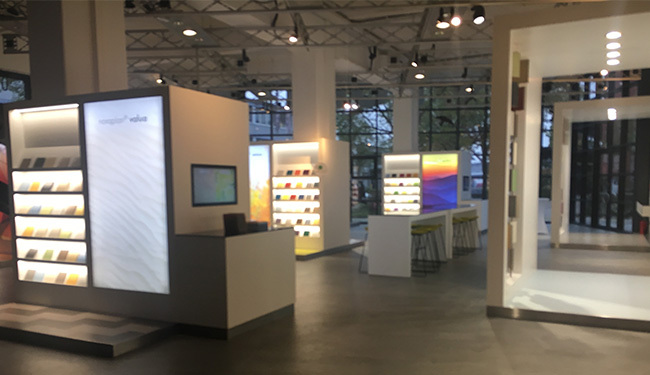 The next stage was to go back into the excellent training centre to hear nora’s Business Development Manager Jennifer Thoma give an in-depth company and product overview demonstrating the unrivalled high quality of the nora materials range. We then saved the best for last! 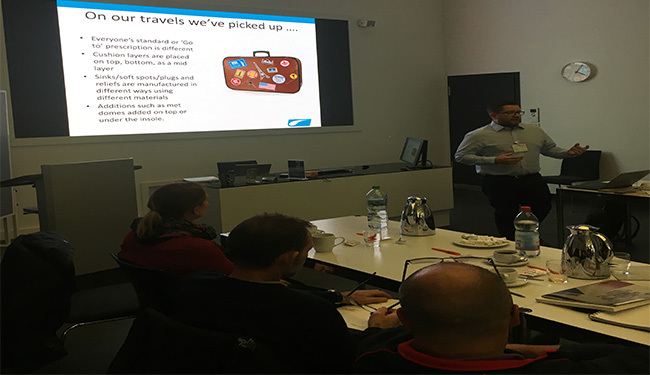 Our very own Clinical Specialist Adam Horrocks gave an informative clinical presentation about material selection that provoked a lot of thought and discussion. 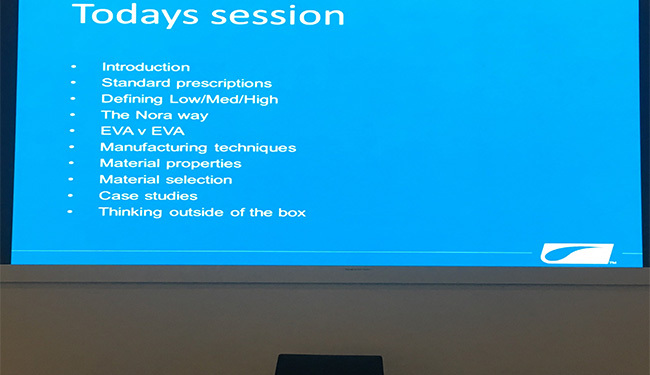 Adam went into detail about the “At risk foot group” and provided some excellent case studies where in particular Lunatec Motion has proved itself, when other commonly used open cell top covers failed. The end of a busy day was finished at a traditional German brewhouse enjoying the local hospitality. Day 2 We travelled to the B.O.S.S Orthopaedic school for hands on materials training. 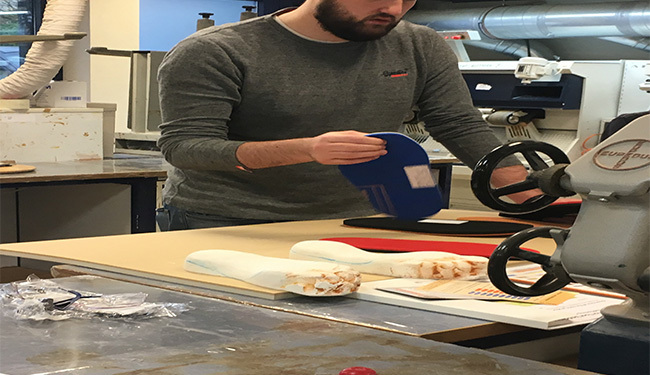 nora’s experienced Orthopaedic Meister Mike Jacob was available to provide manufacturing advice and material information. 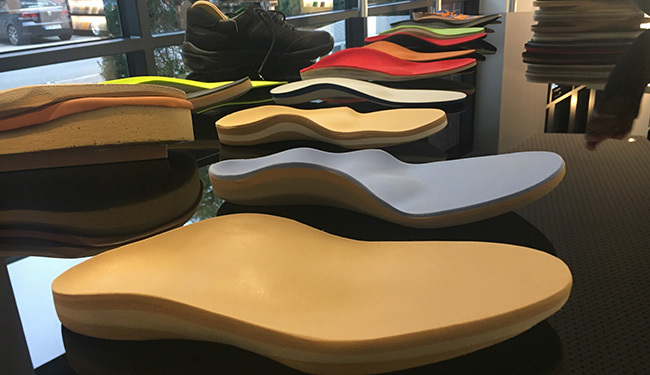 The delegates got to produce their own pair of nora insoles. The feedback from the training was very positive and events success means this will be on offer again for 2019. 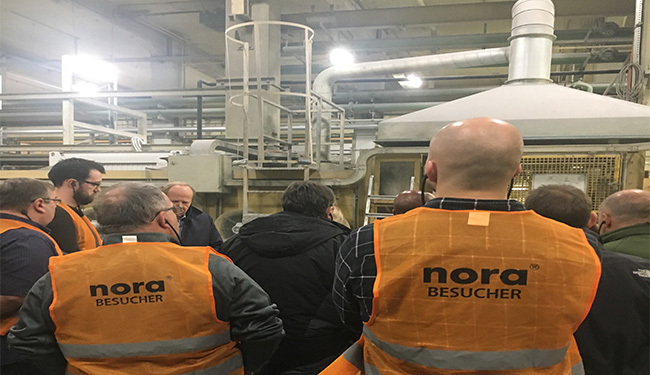 The two-day trip to Nora in Germany organised by TalarMade was a very educational and enjoyable two-day trip. 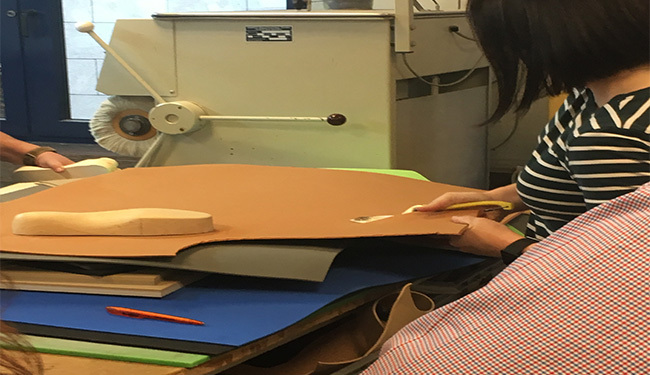 We were privileged to have a guided factory tour followed by an informative educational session, provided by TalarMade and nora employees. To end the session, we were then taken from our hotel to an enjoyable night out at a local pub. 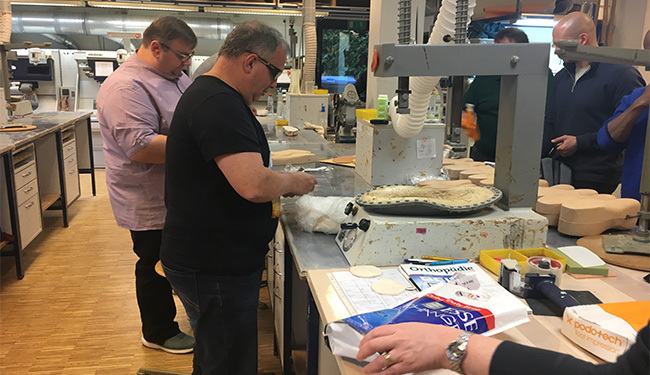 The second day was spent at a training laboratory where we all managed to work with the amazing nora products, and actually produce some bespoke insoles. 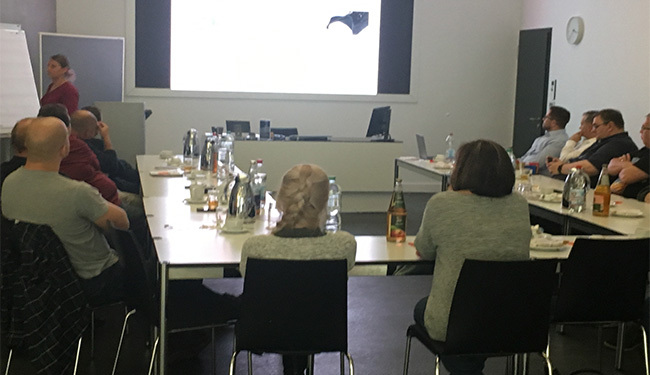 It was a pleasure to be part of this first training session with a group of like-minded Podiatrists and Technicians. Ian Barnard, senior technician at Norwich Community Hospital. If you would be interested in learning more about 2019’s event, please get in touch with me by E-mail: [email protected] or on my Mobile: 07824 901591. 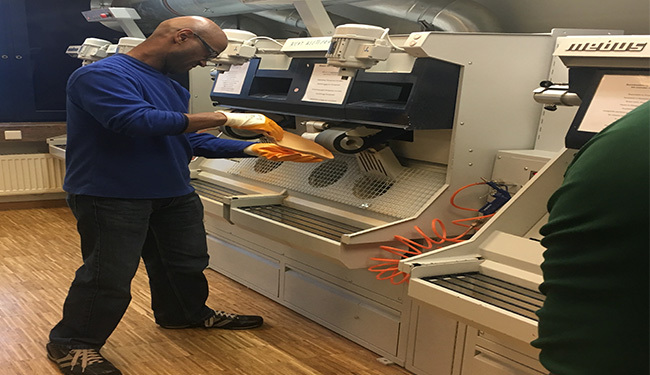 Alternatively, TalarMade can arrange the clinical training at your premises either NHS or Commercial. 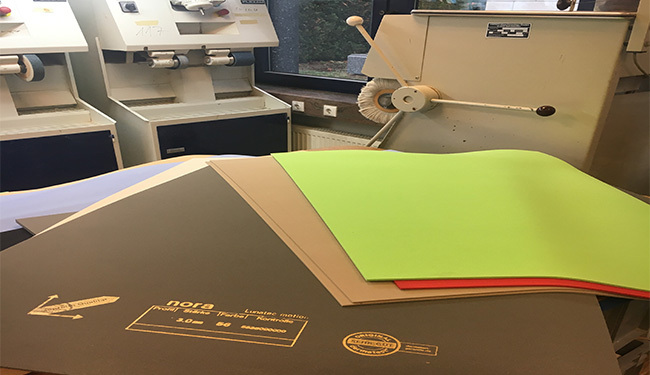 If you require any product literature or nora material sample swatches get in touch with TalarMade on +44 (0)1246 268456 or email [email protected]. Alternatively, you can click here to download brochure and click here to view nora training videos.